At Music Together®, our mission is to make the world a better place by making it more musical. To do this, we bring the highest quality music and movement experiences to children—and we involve the adults who love them in the magical process of development that only music can provide. Looking for meaningful ways to connect with your child AND your community? Come preview a class for FREE! With this award-winning program for babies, toddlers and preschoolers, you’ll experience delightful ways to interact as you experience the joy of actively making music, helping your child grow into a confident, life-long music maker. You and your child will learn a variety of music and movement activites led by trained and talented instructors. These fun 'mommy and me' music activities are appropriate for your baby, toddler or preschooler. Siblings can attend the same class so you and your children can sing, dance, wiggle, laugh and play instruments together while loads of seeds of learning are being planted. Infant siblings under 8 months attend for free! "We love Music Together in The Valley!!! This class was a Mother's Day gift for me and my son (from my husband) when he was 8 months old. He's almost 3 now! We have a 16 mo old too and both of my boys love classes! We attribute a lot of their language development to this program. It is so engaging and beneficial! We are lifers!" We encourage all new families to participate in one of our classes so that they can experience all the fun we have actively making music. View the schedule of available classes and discover Music Together. 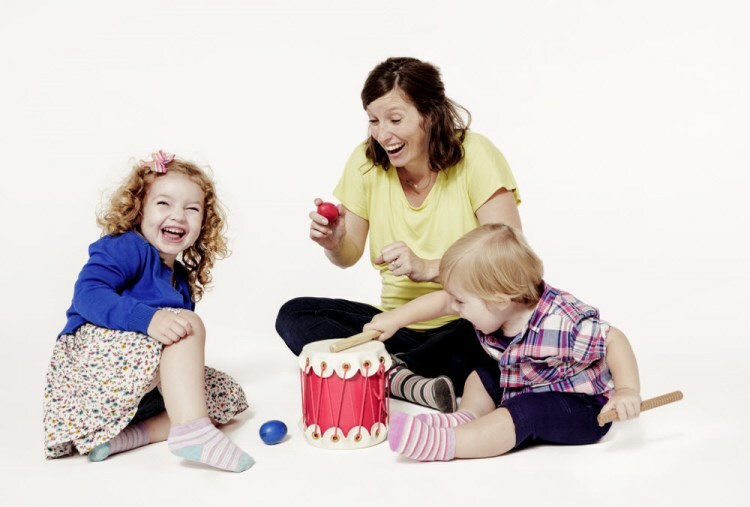 Why do we think Music Together is the best early childhood music education program for families? All children have a natural aptitude for music that blossoms in a sufficiently rich music environment. Children can learn to sing and dance as naturally as they learn to walk and talk given the right environment. So much more than a "Mommy and Me" class, the Music Together program provides a true family music experience, where both parents, as well as grandparents and other caregivers, are welcome and siblings can attend classes together. The family-like setting of Music Together's mixed-age classes creates an ideal learning environment where infants, toddlers, and preschoolers can freely participate in the activities at their own levels and in their own ways. Young children and babies learn through play and experimentation and by watching and listening to the grownups they love, but parents don't need to have music skills—they just need a desire to play and have fun with their children! Music Together CDs have outstanding arrangements that are fun, sophisticated, and loved by children and grownups alike. The music includes a mix of original songs and traditional tunes from the folk, jazz and world music traditions in a variety of tonalities and meters.